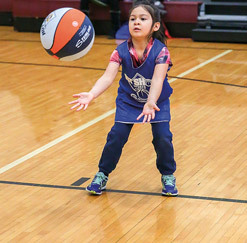 The Des Plaines Park District values the importance of volunteer coaches, and we applaud each of you who invest in our youth basketball league. We strive to provide our coaches with all the resources they need, so that you and our participants have a fun and exciting learning experience. To explore the variety of coach’s resources we offer, please see below. Thank you for considering being an active community member, and for investing your time and energy in the Des Plaines Park District Youth Basketball League.